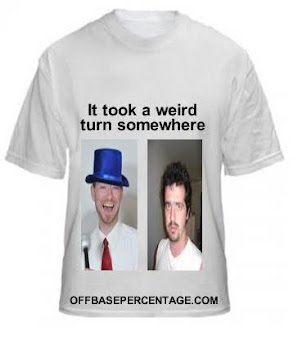 Off Base Percentage: Not Gary Matthews Jr! 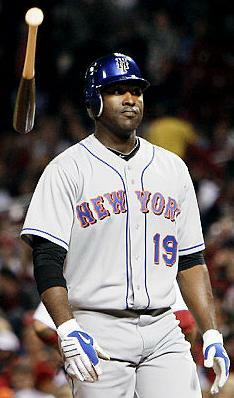 The Mets have designated Gary Matthews Jr for assignment. Noooo! Wait, that's not right. Hahahahaha! GMJR is making $11 million this year and $12 million next year and I cry a little every time I see that. The Angels are still on the hook for $10.5 million this year and $11 million next year but still clearly ripped the Mets off in that trade. The Angels received relief pitcher Brian Stokes who has a 7.36 ERA. Still, the Angels robbed them. Just when I thought all hope was lost, the Mets mastermind that is Omar Minaya traded for Little Sarge (more like Little Surcharge, amirite). This happens to be my favorite memory of his tenure as an Angel. In his limited time this season, Matthews Jr hit a paltry .190/.266/.241 while playing below average defense. That makes GMJR worth around -$300,000. Actually up from last year, when he cost the Angels around $5 million. I suggest you use some of that cash on the most expensive couch you can find, you're going to be sitting on it for a while.